Kaspersky Lab solutions are regularly qualified as the best by a great number of independent security tests. Recently, MRG Effitas awarded Kaspersky Lab’s technology for online banking protection with its highest accolade, OnlineBanking/Browser Security Award. 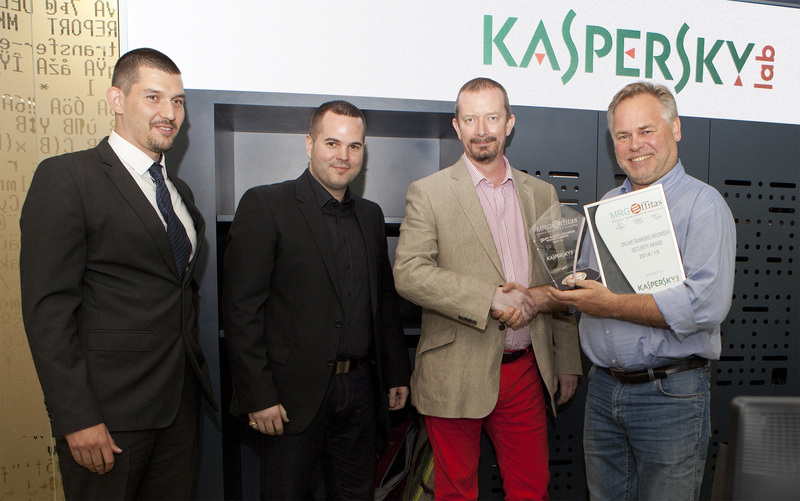 Researches examined Kaspersky Lab solutions for four quarters in 2014-2015. Safe Money, a technology incorporated into Kaspersky Internet Security, provided high-quality protection for online banking operations. It was acknowledged as one of the most reliable, and awarded with the MRG Effitas Certified status. About Safe Money: This is one of the key security technologies that ensures multi-level protection for a user’s online financial activity. Kaspersky solutions use it while checking the computer for malware, ensuring that the payment site is authentic and safeguarding transactions. MRG Effitas experts regularly examine the latest versions of specialized and universal software that secure transactions. The last series of tests were performed over 12 months. During that time, researchers were using different methods and approaches to evaluate the protection quality from different perspectives. In the beginning of the research, security solutions had to combat collections of recently discovered, active financial malware, and prevent any leakage of payment data during transactions made from already-infected systems which were designed to imitate the most commonly seen botnets. In Q2 2014 the researchers bombarded security solutions, simulating a Man-in-The-Middle attack. In Q3 2014 and Q1 2015, they tried to deceive security systems by redirecting API calls. And to round out the testing, in Q4 2014 they attempted to bypass browser protection with the help of Windows Application Compatibility and the Windows AppInit DLL method. Kaspersky Internet Security was put to an additional test: For several operations, MRG Effitas experts ran KIS with all its subsystems disabled apart from Safe Money. Even that could not prevent the product from successfully blocking all threats in the test! This is not the first time Kaspersky Lab solutions have received the highest awards from MRG Effitas. In 2013, Kaspersky Internet Security also demonstrated excellent quality and high protection level. MRG Effitas experts recognized both the high performance during the tests and high protection quality that are consistently provided by Kaspersky solutions during every test, in spite of an ever-changing threat landscape.